Tokens. A blog by Artist David Wills. : Good Art #33: Young Hare. Good Art #33: Young Hare. 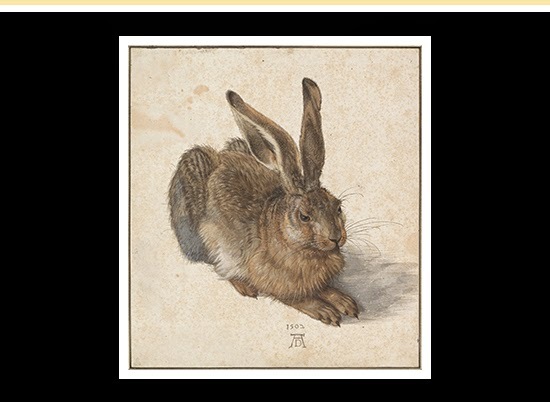 I stumbled on Albrecht Dürer’s Young Hare last week via an inspiring read on BBC Culture titled Why museums hide masterpieces away. Masterfully executed and dating from 1502, Young Hare is about as alive as a painting can be. Its watchful eyes mesmerise, why is it so deep in thought? I'm transfixed. Learn more about its storage issues and other problematic works by other artists in the article.